The Pablo Center at the Confluence is currently hosting “A Seat at the Table,” an exhibit composed of art created by women in the Chippewa Valley. Featured artists include Lori Chilefone, CJ Connor, Christina Loew, Patricia Mayhew-Hamm, Jill Olm, CV Peterson, and Denise Presnell. “[The artists] have not necessarily created artwork that is specifically exploring what it means to be a woman in today’s society, and yet, there it is,” said Rose Dolan-Neill, the Pablo’s visual and literary arts manager. “They are here for us to relate to, they teach us, and, most importantly, they are present with a seat at the table.” The exhibit displays a range of two-dimensional mediums, such as abstract oil paintings, collage works, conceptual works, and more. 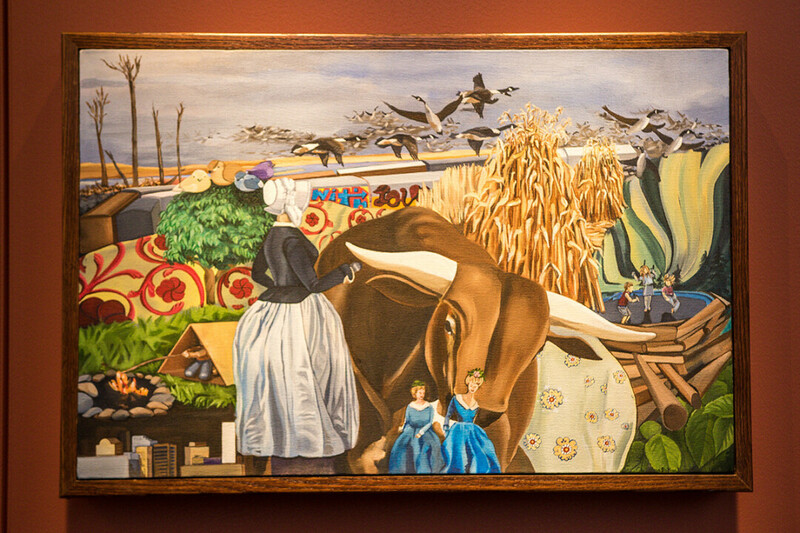 Works from the Pablo Center’s Laurie Bieze Permanent Art Collection have also been incorporated into the exhibit. “The most rewarding part of curating a group exhibit such as ‘A Seat at the Table’ is finding the relationships between individual works of art,” Dolan-Neill said. 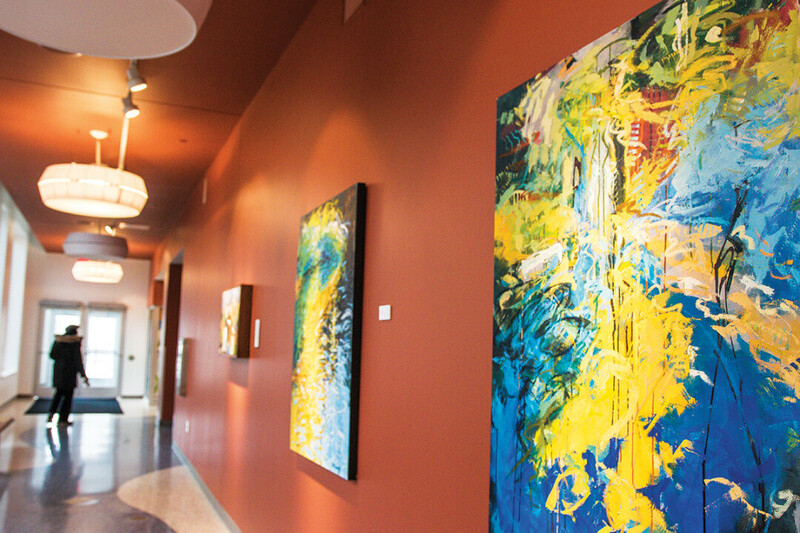 “It’s easy to find a group of talented Chippewa Valley female artists. There are many. What’s challenging is finding individual works of art that create a cohesive story.” The exhibit opened Nov. 16 and will run through Jan. 18. “Seat at the Table” is on display in the Graham Avenue Walking Gallery. The gallery is open from 10am-4pm Monday through Friday, as well as two hours before any event taking place at the Pablo Center.